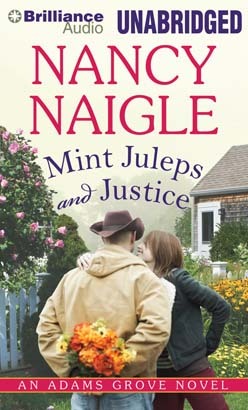 All the four-leaf clovers in the world couldn’t make Brooke Justice feel lucky these days. When her soon-to-be ex refuses to stay out of her business, she decides a fresh start will turn her luck around. She retreats to the small town of Adams Grove, Virginia. But when someone breaks into her new home, she immediately suspects her ex. Frightened for her safety, Brooke calls a private investigator — but she doesn’t expect her whole body to tingle when he asks if she needs his protection. For years, Mike Hartman refused to let love into his life. Still reeling from a devastating loss, he never expected to fall for a client. Yet the more time he spends with Brooke, the more he grows to care for her. And when her life is put in danger, Mike knows he must act quickly — before history tragically repeats itself.